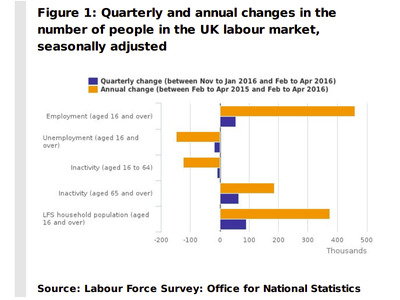 British unemployment just fell once again, dropping to a low not seen in more than ten years. 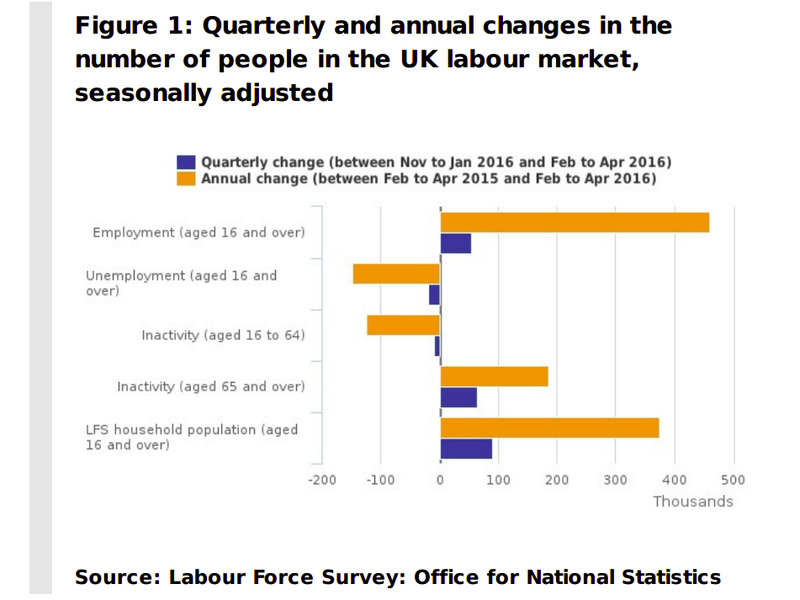 Between February and April, there were 1.67 million unemployed people (people not in work but seeking and available to work), down by 20,000 compared with the three months to January, according to the Office for National Statistics. While unemployment fell, employment rose, hitting 74.2%, the joint highest level since records began in 1971.